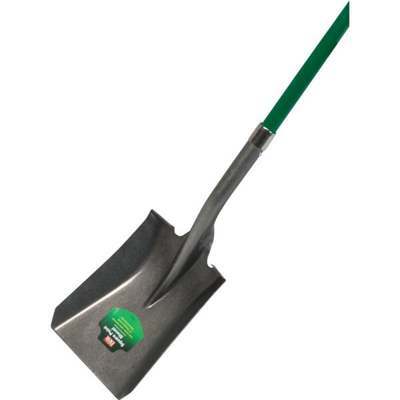 Square point shovel with 16-gauge, powder coated carbon steel blade with steel reinforcement and chrome collar. 46 In. green fiberglass handle with 10 In. black foam grip in the middle and 6 In. black foam grip at end. Blade dimensions: 9.3 In. x 11.75 In. Total length: 58 In.